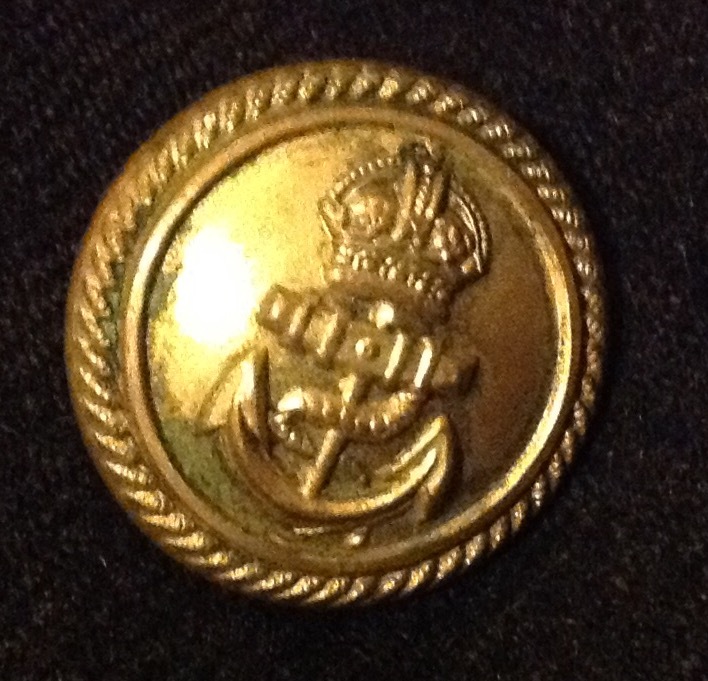 Tonight we are looking at a rather unusual naval uniform. 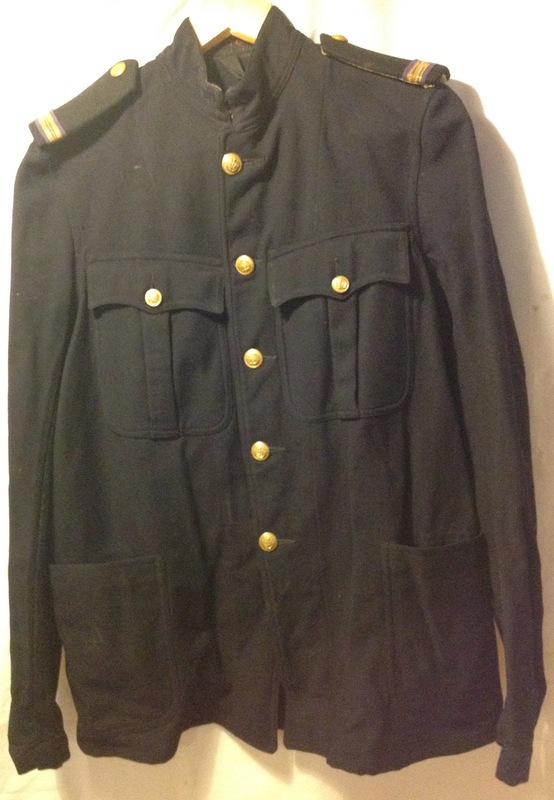 In the opening years of the Second World War the Royal Navy refused to adopt battledress for officers aboard ship, despite this ban dyed army battledress was still popular and frequently worn. In the end, bowing to the inevitable, the Admiralty gave permission for officers to wear ‘Working Dress’ (they could not bring themselves to call it battledress!). 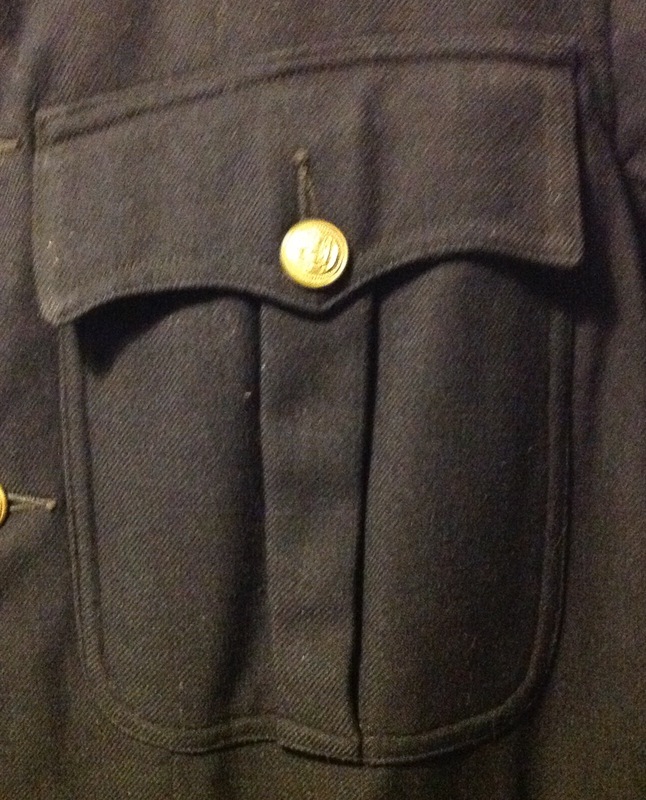 The Working Dress, or 5A, uniform was very popular and officers could either purchase it from stores or have a set made up by their tailor. 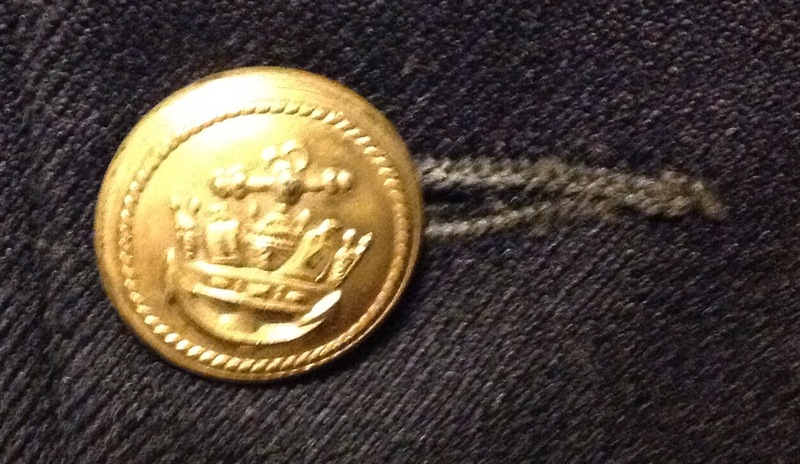 Tonight’s uniform started out as a private purchase RN Working Dress blouse: It is made of dark blue serge and has two patch pockets, one on either breast: It has three brass buttons up the front, each bearing the King’s crown RN crest: The waist of the jacket is secured by three black plastic buttons: The maker of the jacket is recorded on a label sewn into the inside pocket: As can be seen the jacket was made by Austin Reed of Regent Street. 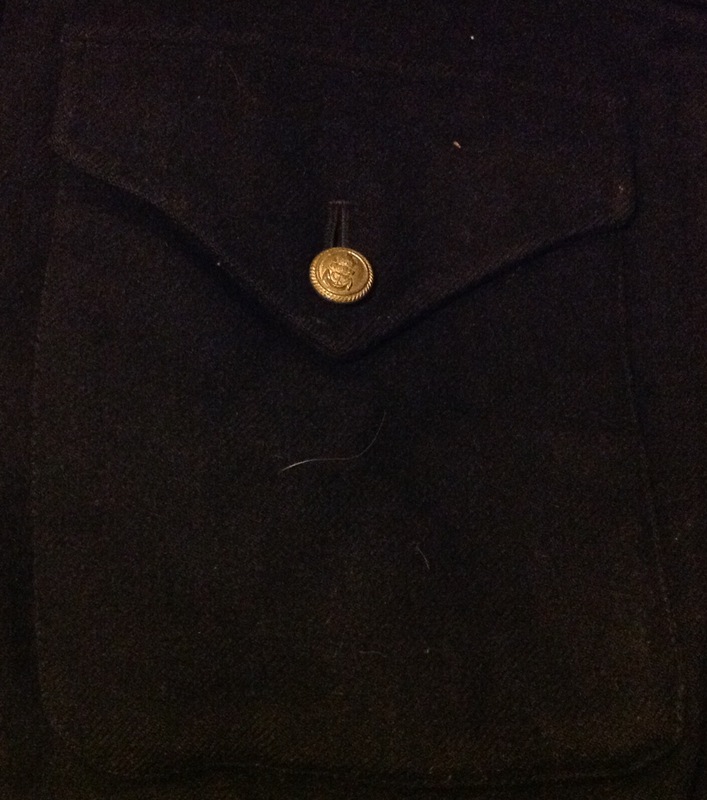 The unusual feature of this uniform however is the shoulder straps, which have the rank of a Merchant Navy Engineering officer: This uniform came as part of a wider grouping and was accompanied by a light weight Merchant Navy Officer’s tunic with the same rank. 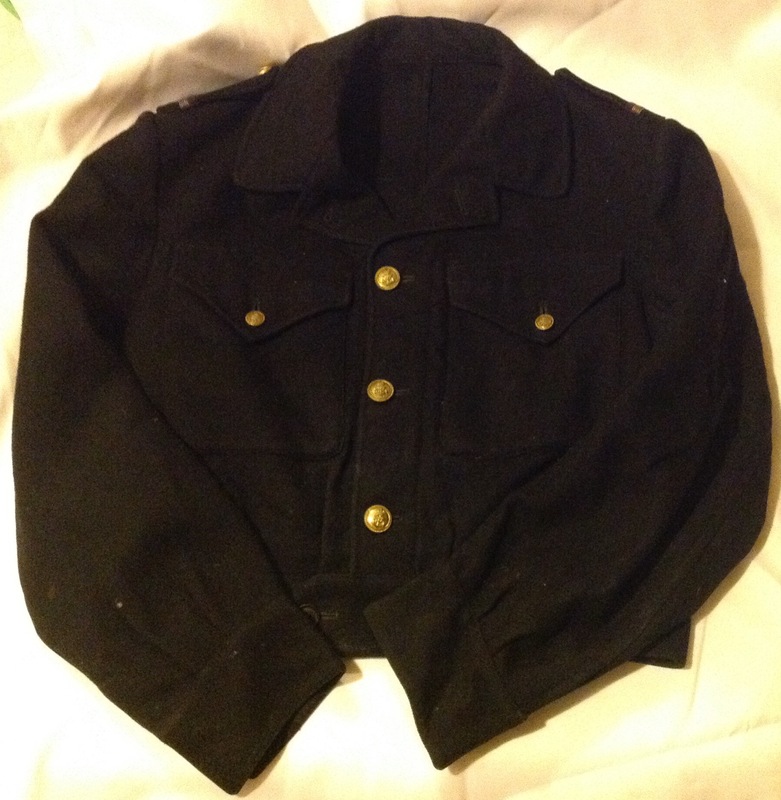 My theory is that the jacket was purchased after the war by a new junior officer as a cheaper form of working dress for use in the engine room of a post war freighter or liner. 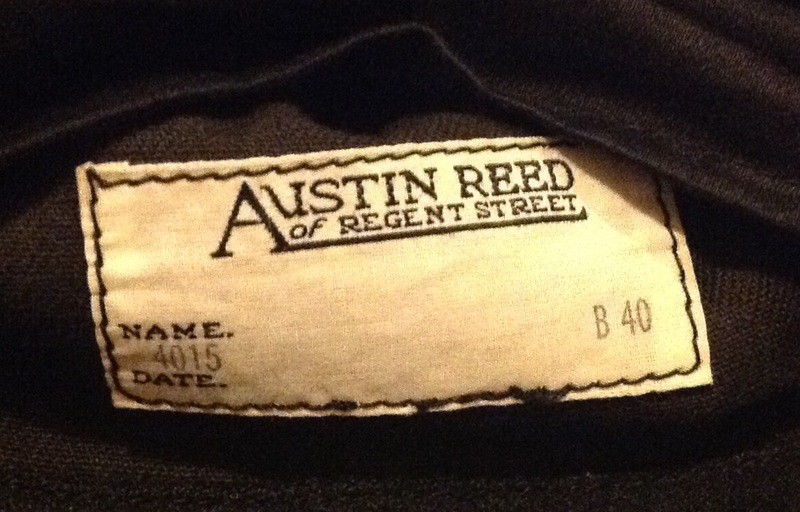 I also have an Admiralty made set of 5A working dress and both the private purchase and contract uniforms are very similar in design, suggesting the private tailor conformed closely with the pattern outlined by the Admiralty. This is an interesting example of reuse of military equipment after the war and reflects the poorer nature of the United Kingdom and its inhabitants- nothing could be wasted. 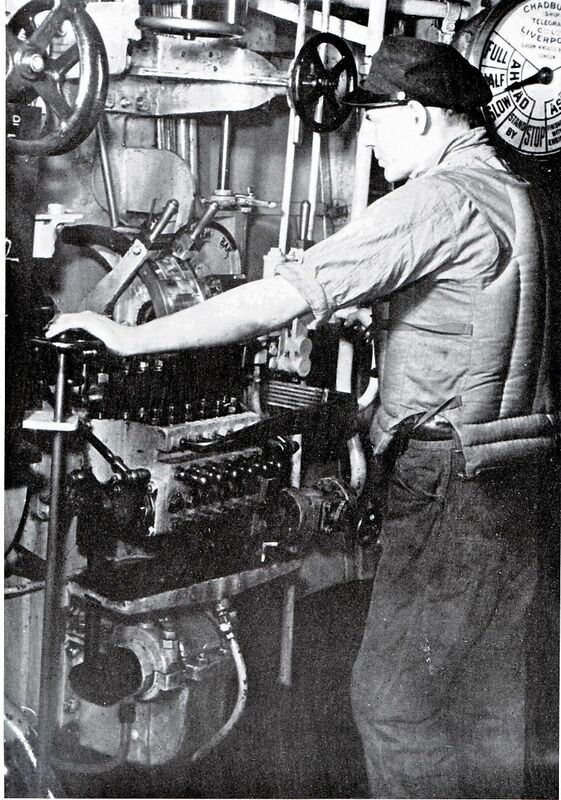 This entry was posted in Merchant Navy, Royal Navy, Uniform, WW2 on March 16, 2015 by hatchfive.